Bathurst trainer Andrew Ryan has one regret as he readies Ave ($11 on TAB fixed odds) for a booming $100,000 TAB Highway Handicap (1400m) amidst the glamour and theatre of The TAB Everest day at Royal Randwick on Saturday. His father Don, 83, a regional sporting institution who regularly shared racing and Rugby League broadcasting near 40 years ago with an emerging talent Ray Warren, is too frail to attend what would have been one of his most memorable sporting occasions. “It would, but Dad just isn’t up to travelling these days, but it certainly would be a 'pick-me-up' for him if we happened to win it,” Andrew enthused. “Dad still gets to the track in a motorised cart, and he’ll be watching on TV as keenly as he always has. "He still studies the form, and watches the races daily. We’ve both looked at the acceptances, we understand how tough it is with those strong stables for this sort of prizemoney. "Highways were always hard to win when we came down a couple of years back, let alone what this one is worth. “But this mare has always shown ability and she’s so consistent. Dad and I thought she’d eventually develop into a Country Cups horse. Ave drops from 61 kg from her last start at Dubbo to the 53kg limit (but will carry 1kg overweight for her rider). 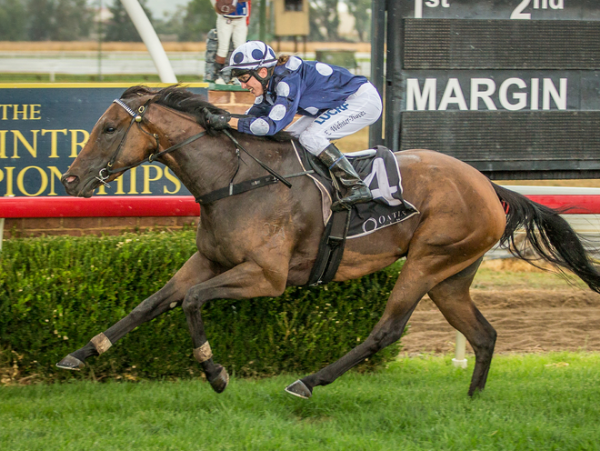 Ave, with the highly creditable record of three wins and six placings from just 12 career starts, carries the luxury weight for her regular rider, the Ryan’s stable jockey Eleanor Webster-Hawes in a 1400m Class 3. Prior to her photo third with 61kg at Dubbo on September 16, Ave though had the benefit of two barrier trials. Ave, a five-year-old Roman Emperor (NZ) mare, was bred by Ryan bloodstock; old Don’s proud heritage. Don, his sons Andrew, Steve and Bernard, a former AJC employee, have been prolific winners on Central Districts tracks for many years. Understandably, the massive prizemoney has attracted a capacity Highway field of 16 starters and four emergencies. Prolific series winners Matthew Dunn and Danny Williams have dual representatives along with a strong hand in the inaugural $1.3 million The Kosciuszko several races later. Ave might be double-figure odds in early betting markets, but former broadcaster Don knows as well as anybody the only certainty in racing is the great uncertainty - Winx aside of course!